Total Loss Car Value - How much is your Totaled Car Worth? Accidents happen, as the saying goes, but some accidents are much worse than others. In the case of automobiles, accidents occur in various places throughout the country every day. When these unfortunate events occur, especially when the accidents are more major, the priority is to make sure all passengers involved in an accident are safe and to deal with any injuries involved. 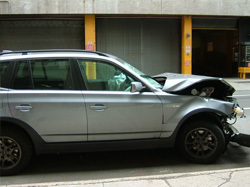 It is necessary to determine the extent of damage to each vehicle participating in the crash and what to do about that. If you've had the unfortunate experience of dealing with a serious car accident, you might be wondering "Am I dealing with a total loss of my car?" Here is a handy guide that will walk through the key details involved in a total loss of a car. If your car is a total loss, you can get a check from the insurance company and still sell the car. It's called "owner retention". If you have a totaled car you can sell it to us! We buy totaled cars nationwide. 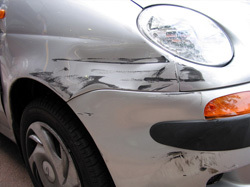 There is various official terminology that pertains to car accidents. If you've had a car accident, you might have heard the term "total loss" if the accident was severe. A "total loss" is the same as a car being "totaled," and the definition is straightforward and clear. A total loss occurs when the cost to repair the vehicle is greater than the current value of the car and the cost to replace the vehicle. There are various ways to determine the present value of a car, and value varies from one car to the other based on different factors such as the vehicle's make, model, year, and condition. The type and amount of damage required to deem a car as being a total loss also vary considerably from one car to the other. So for example, if the car is worth $3,000 and the cost to complete all repairs would be anything more than $3,000, such as $3,500, the car is considered a total loss. 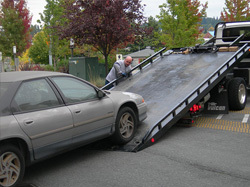 Total loss can be somewhat common, and repair costs can quickly add up. Some auto repairs are more expensive than a layperson might guess they would be. As you probably know, your auto insurance company will get involved when your car has been in an accident. Someone who works for that company inspects your car and the damage it has sustained. The insurance company will develop an estimate that indicates approximately how much it will cost to repair the car. When developing this, they take into account various issues, such as the car's make, model, year, mileage, trim, and location. They also consider recent prices for cars that are similar to your car. They give your car an actual cash value, which is how much your car was worth before it was involved in the accident. They determine how much it will cost to repair the car, and they compare that dollar amount with the car's value before the accident. If the dollar amount of the cost of repairs is higher than the car's pre-accident value, they determine that the car is a total loss. A newer, luxury vehicle has a higher value than an older, basic car, so that older car is more likely to be totaled than the luxury car because it takes less damage for that car to be a total loss. Extensive damage or repairs that require expensive parts and labor also are more likely to cause a car to be a total loss. 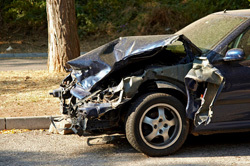 When an insurer has determined that a car is totaled, they will not pay for the vehicle to be repaired. They offer to give the car's owner a check for the car's replacement value that is based on the car's value before the accident occurred. The auto insurance deductible amount is subtracted from this payment. 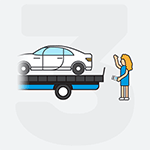 In some cases, when there has been a vehicle accident, and that vehicle is considered a total loss or totaled, the owner might decide to retain or keep, the vehicle rather than the insurance company keeping it. In this type of scenario, the amount of the check that the insurance company gives will likely be different from the amount they give you if they keep the vehicle. This is because when the auto insurance company keeps the vehicle, they pay you an amount comparable to the car's pre-accident value, whereas when you keep the car, they pay you a salvage value or the value of the car with the accident damage taken into account. If you have a totaled vehicle, you might be wondering why it would make sense to keep it when it has such extensive damage. The answer is that you can sell it to a company that specializes in buying cars that have been deemed by insurance companies as being totaled. You sell it "as is" and don't have to deal with the hassle and major expense of trying to get the car repaired or driving a damaged car that is probably unsafe. Experiencing the total loss of a vehicle is a highly stressful experience, and under the circumstances, it can be difficult to figure out what to do and how to handle all the many details. When it comes to determining out what to do about the totaled car, one excellent option is to sell the car to a company that specializes in buying wrecked and damaged vehicles. How Can I sell My Totaled Car? Our company, DamagedCars.com, does just that and contributes to taking some of the stress and confusion out of dealing with a totaled car. We buy cars in most states of the United States and most makes, including Honda, Toyota, Subaru, Ford, Chevrolet, Chrysler, GMC, Audi, Volvo, Volkswagen, Mercedes-Benz, and many others. 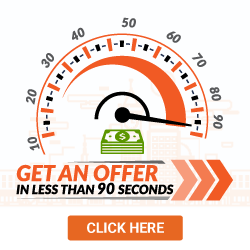 We provide fast and guaranteed offers via our convenient online form, so connect with us online or by calling us at 877-877-7911. 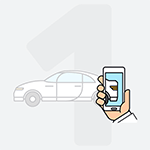 If you're dealing with a total loss of your vehicle, let us make the process a little easier.